Rabat - Morocco allegedly paid $1 million dollars in bribes to host the 1998 World Cup, according to a U.S indictment against 14 current and former FIFA officials. Rabat – Morocco allegedly paid $1 million dollars in bribes to host the 1998 World Cup, according to a U.S indictment against 14 current and former FIFA officials. The bribe was paid to FIFA executives Chuck Blazer and Jack Warner in exchange of supporting Morocco in its bid to host the 1998 World Cup, alleges a 164-page year-long U.S indictment detailing the charges that led to the arrests in Switzerland on Wednesday. Blazer and Warner are both accused of soliciting and accepting bribes over the selection of the host nation for the 1998 World Cup. 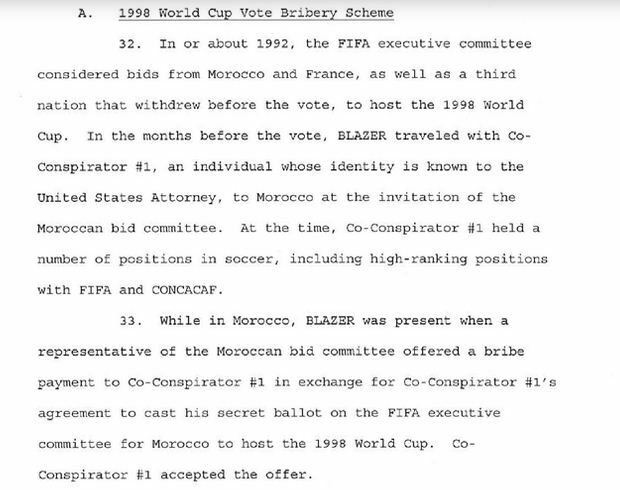 According to the document, Blazer travelled with high-ranking CONCACAF official Jack Warner to Morocco in 1992 at the invitation of the Moroccan bid committee. The Moroccan bid committee allegedly offered a bribe payment to Warner in exchange for his secret ballot on the FIFA executive committee for Morocco to host the 1998 World Cup. 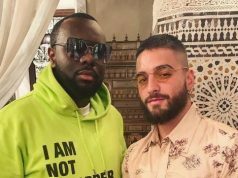 He reportedly accepted the Moroccan offer. 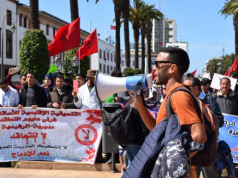 Blazer spoke with representatives of the Moroccan bid committee on several occasions, including by telephone from the CONCACAF offices in New York, regarding when the payment would be made. 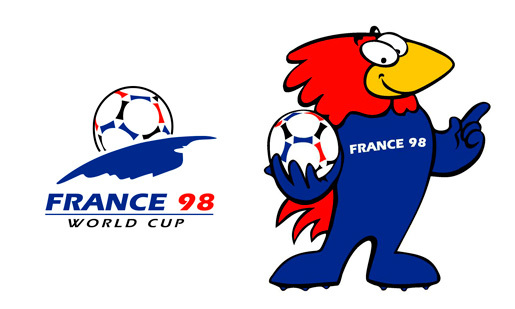 Though the payment was made at FIFA’s executive committee meeting held on July 2, 1992, France was selected over Morocco to host the World Cup. In 2004, the indictment said, the Moroccan bid committee secretly offered again a $1 million payment to Mr. Warner if he supported Morocco’s bid for the 2010 World Cup. However, the Moroccan bribe offer was outmatched by South Africa, which promised to arrange $10 million to the Caribbean Football Union, headed by. Jack Warner, the indictment said. On May 15, 2004, South Africa was selected over Morocco to host the World Cup. Blazer and Warner indicated that they voted for South Africa. The $10 million bribe was transferred in three tranches in 2008 from FIFA’s offices in Switzerland to bank accounts in New York controlled by Jack Warner in the name of two regional soccer associations. The money was subsequently pocketed by Jack Warner through money-laundering schemes involving his associates, the indictment said. Jack Warner is reported to have handed himself over to the police in Trinidad and Tobago on Wednesday night.